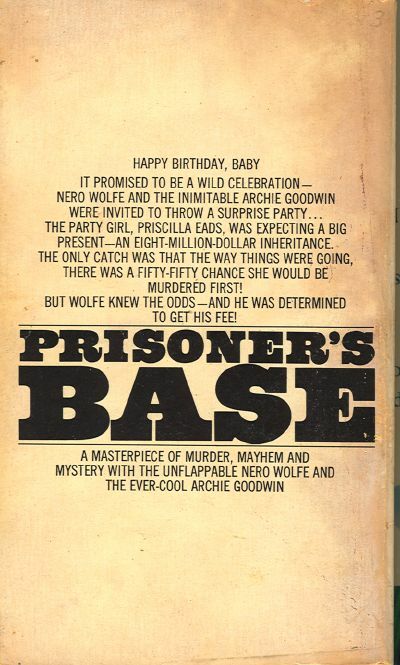 When Nero Wolfe turned down the easiest ten-thousand-dollar fee ever offered him, he didn’t expect to get involved in a deadly game – a game that reminded Archie of a grim version of prisoner’s base. 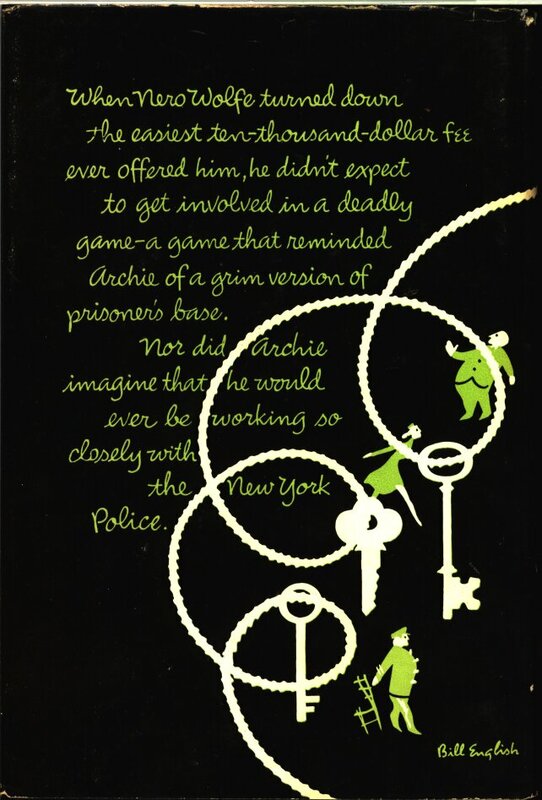 Nor did Archie imagine that he would ever be working so closely with the New York Police. 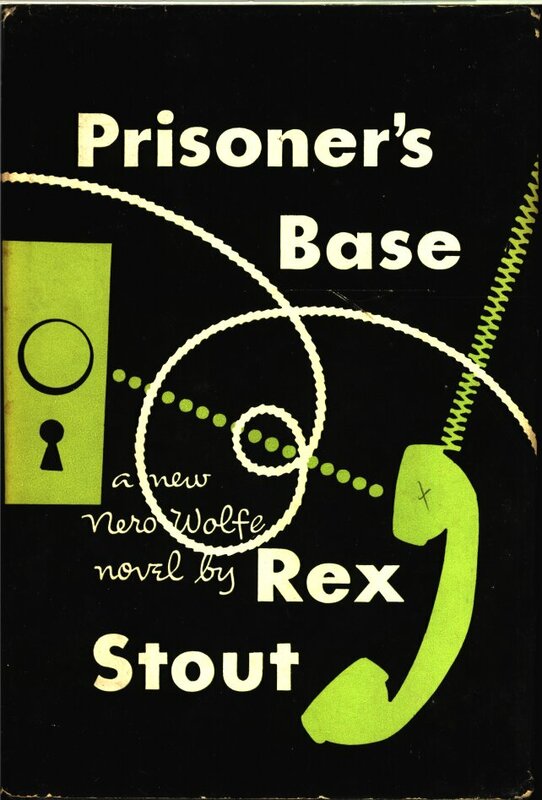 Readers who have long followed the adventures of Nero Wolfe will surely agree not only that this is one of the neatest murder puzzles ever set down by Rex Stout, but also that it is the most exciting, adventure-filled, and breathless story he ever told. 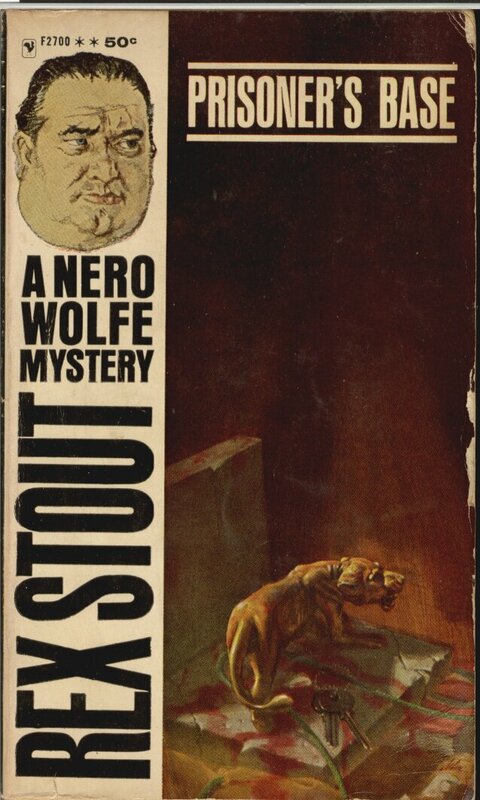 Nero Wolfe has represented some pretty unusual clients in his time, but in this one, his client – believe it or not – is the fast-talking, hard-hitting, skirt-chasing assistant and companion to Nero, Archie Goodwin himself. 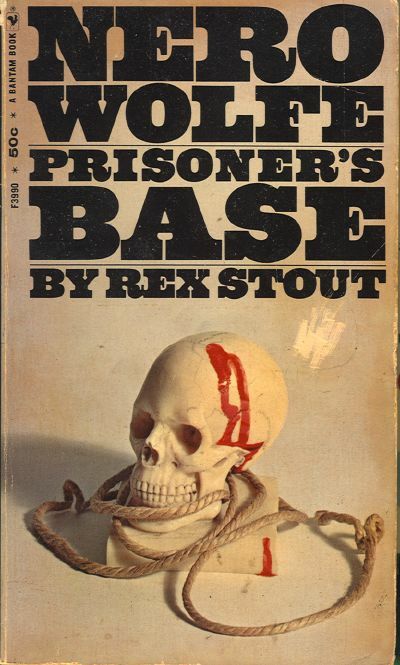 We’ll make three bets with you abut Prisoner’s Base: First – you won’t solve it. Second – you’ll agree that no author ever played more fair with his readers. Third – when you finish it, you will feel as if you have been on a forty-eight-hour, breath-taking, danger-filled chase up and down the avenues of New York, into some of Manhattan’s darkest and more terror-filled alleys. It promised to be a wild celebration. 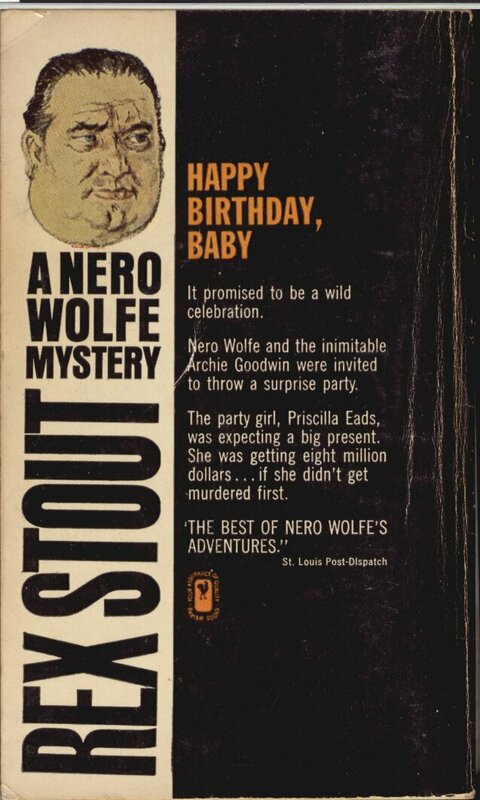 Nero Wolfe and the inimitable Archie Goodwin were invited to throw a surprise party. The party girl, Priscilla Eads, was expecting a big present – An eight million dollar inheritance. The only catch was that the way things were going, there was a fifty-fifty chance she would be murdered first! But Wolfe knew the odds – And he was determined to get his fee! The party girl, Priscilla Eads, was expecting a big present. She was getting eight million dollars… if she didn’t get murdered first.